A Magical Giveaway from Kohl’s–UPDATED WITH WINNER! In celebration of this fabulous upcoming trip, Disney and Kohl’s would like share with us some proper party attire for the kids—the new “Magic at Play” collection by Jumping Beans. Cute, fun and definitely Disney festive—these outfits are perfect for inside the park or out. But it wouldn’t be a party without YOU, so Disney and Kohl’s are giving one of you a $50 gift card to pick out your own fun. My giveaway is simple and will one week run until midnight CDT 4/16/14. Just leave a comment below if you’re interested in being entered into a random drawing. That’s it. ****UPDATE****Thank you for all of the interest into the Disney Magic at Play Collection by Jumping Beans Kohl’s gift card! My kids certainly enjoyed their new outfits last weekend at Disneyland, and one lucky reader can sport some new duds soon as well. As promised, from the 48 commenters, I randomly assigned each a number, and then had another person (my daughter) choose a random number. That happened to be Amanda S. as the winner of this $50 gift card. Thanks to all who entered, and keep checking back for more winning opportunities. I would love to win a Kohls gift card! i would love to be entered to win! we love kohls! Love your insight as always and tell the big mouse I said hello while at Disney! I would love a chance to win this gift card! I enjoy your blogs alot! My whole family LOVED your Thanksgiving price guide! Thank you for the chance to win a Kohl’s GC. I haven’t really been out and about shopping due to my transplant. I would relish a shopping trip!! Act like a Princess while you’re there! I am very interested! Thank you. Please enter me. Kohls has great baby clothes! I would love to win a Kohl’s gift card to use on clothes for my granddaughters. I would love a chance to win the Kohls cash! Of course I’m interested ! I love Kohl’s. You always make me smile!! Have fun in Cali!!! I would love to win. Thank you for the chance! Have fun! Thx for the chance to win! i love shopping at kohls and i would love to win! I can never go to Kohl’s without buying something! They have such cute items for reasonable prices. SO SO Cute!!!! I have twin daughteres – this would be so great! I could really use this to get my boys some new duds! I’m especially liking the Mickey Mouse Baseball Tee. Cute collection! Please enter me! I love Kohl’s – count me in! Would love to win thank you for the chance! What a cute collection! I love Kohls. Thanks for the chance to win. I want to be entered! I love the Disney Stars & Stripes Hi-Low Dress! I would love to be entered!!! Thanks! Love Mickey and kohls!!! Please enter me too! I’d love to win! 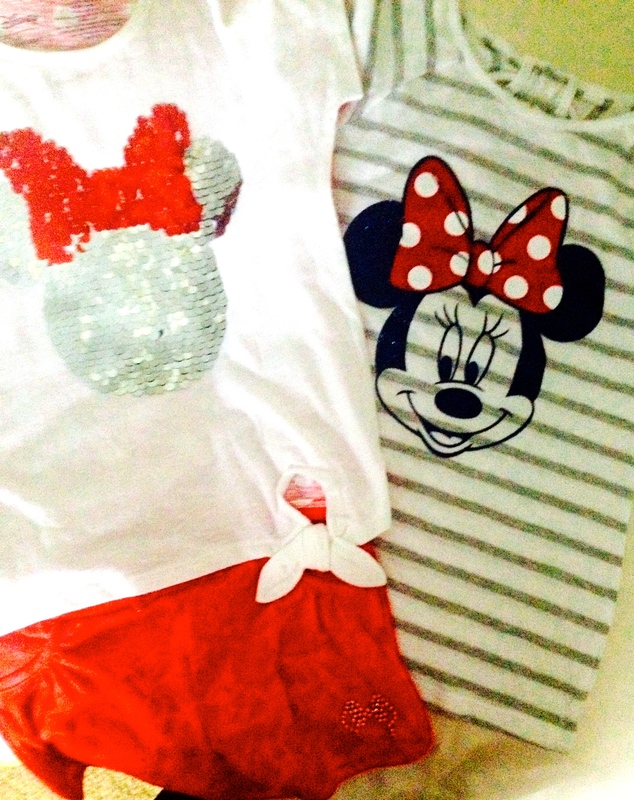 I know my daughter would love the Disney-themed clothes. we go to disney every weekend…would love some clothes to match! Would love to win a Kohl’s gift card. I think the Disney Mickey Mouse “Original Mickey” Raglan Tee is super cute. OH such an adorable line for the kids! I really love the Going Going Gone boys muscle tee and matching Mickey Mouse shorts! So cute for spring and summer!!! I really like the Jumping Beans line for my girls. I love all the red-white-and-blue in this special collection. I see Fourth of July outfits in my girls’ futures!